What is interesting about Snaefells is that the rocks are a bit different than most of Iceland. Indeed, they are more "alkalic", which means the lavas are richer in iron rich in iron and high in alkalis. I was thus stoked to sample hot springs in these types of rocks, but after searching through the literature before leaving, I was only able to find Landbrotalaug! If you know of any others, please let me know. The site is not marked from the highway, but does have a surprisingly large "dirt parking". After that it's a 400 feet muddy walk to the site. It's just over the river, which was super muddy to reach (Katie got stuck!). Thankfully, we had wellingtons! The ancient "privacy screen" of the spring and my 80's rain jacket! 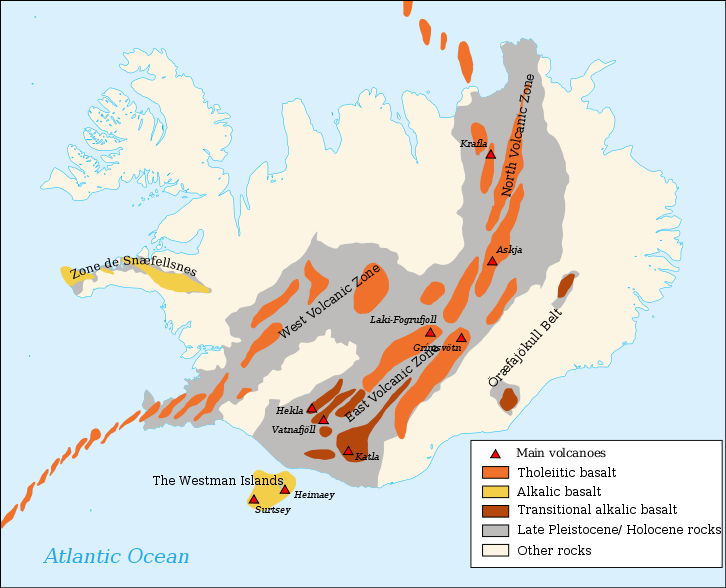 The volcanic origin of Iceland is always present in the landscape. Here a cinder cone.